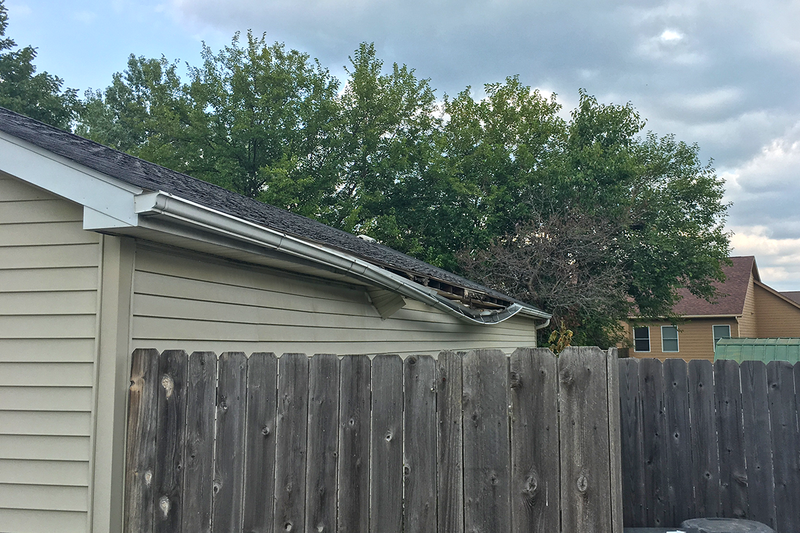 After several months of nominations, a new roof winner has been selected for our central Iowa “No Roof Left Behind” project. 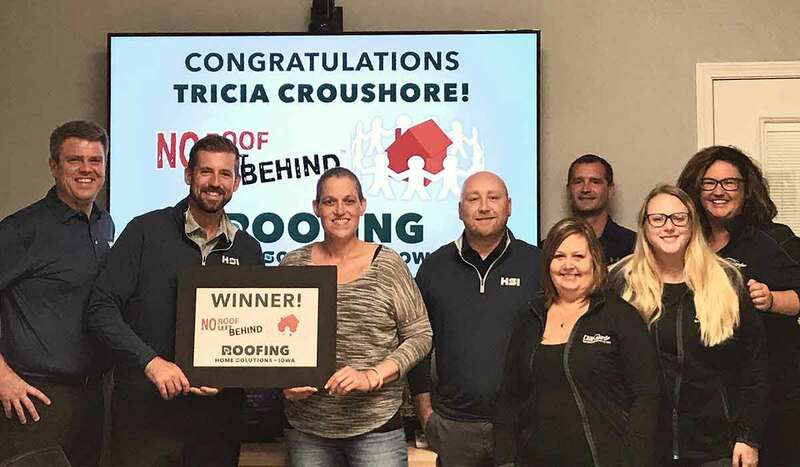 Tricia Croushore of Adel will be receiving a brand-new roof for her home this fall! 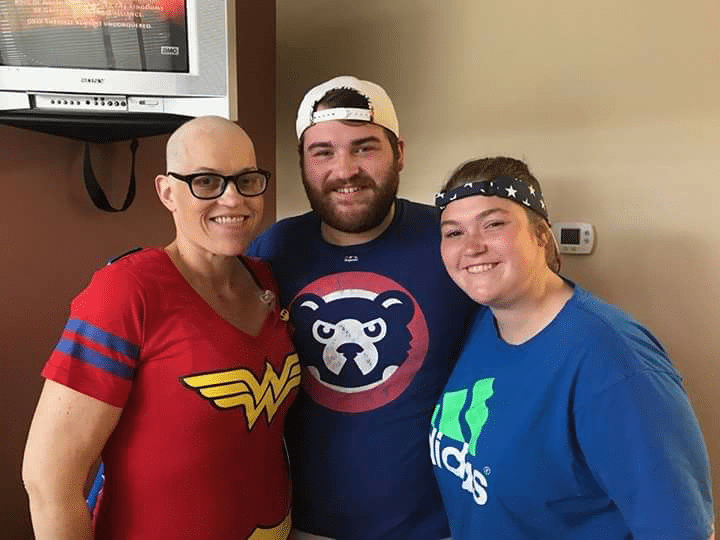 In March, Tricia discovered she had breast cancer and began chemotherapy. She recently had a partial mastectomy with reconstruction, and will soon begin radiation. Over the past year, she has managed to push through the hard days and only miss one day of work. As a nurse and a single mother, she is used to always putting others’ needs ahead of her own. She has been so strong during this battle with cancer and has always pushed through to stay strong for the ones who rely on her the most. Once she begins her radiation, Tricia will have to take time off to recover and gain strength. While staying home, she won’t be earning her regular income which will put more stress on an already tough time. Tricia has lived in her home in Adel for around ten years. It is an older home, and the roof itself is very worn. The garage leaks water when it rains and at this moment in time, she just doesn’t have the additional funds to repair or replace the roof. She has been a part of a single moms group since 2012 and two of the women nominated her for the No Roof Left Behind campaign in hopes that she would win, and this good news would bring her some joy during this rough patch in life. Home Solutions of Iowa has scheduled the project for some time in October, weather permitting. In celebration, Home Solutions of Iowa will be inviting the community to join them for an Installation Celebration to kick off the project! This will be a family friendly, festival style neighborhood event and all are welcome. Fareway Stores, Inc. has also joined on as a sponsor of the celebration and will be providing food and beverages for all attendees. Media will be invited as well. Stay tuned for the date for the Installation Celebration – we hope we’ll see you there! I was satisfied with everything, we have worked with LeafGuard® two times now and they have been excellent both times. We will definitely call them when we need another project done. - Larry S.
I had a leak in my gutters, saw an advertisement for LeafGuard®, and now I won't go to any other company. They were all trustworthy, professional, and the workmanship was good too. - Tom F.